Bhavna Toor is the founder and CEO of Shenomics, a mindful-leadership coaching platform to help women live and lead from within. Bhavna has been mentoring women and impact entrepreneurs for the last 4 years, most recently as an entrepreneur-in-residence at the GSF Global Accelerator and previously as the CEO and Director of the National Social Entrepreneurship Forum in India. Bhavna is a passionate leadership coach and motivational speaker and has spoken widely on topics related to leadership and women’s empowerment, including at TEDx. 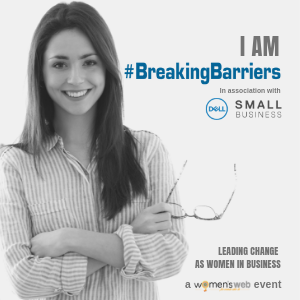 She is the founding member of the Womensphere Global Network and a mentor with Sheroes. Bhavna has an MBA in Social Innovation and Impact from the NYU-Stern School of Business. She’s lived in 6 countries, and brings a global perspective and sensitivity to her work. 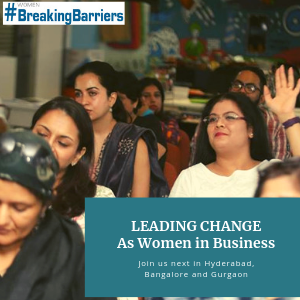 Bhavna Toor is a lead speaker at the Breaking Barriers To Business Growth Step Above event at Mumbai and Bangalore and will be conducting a session on key internal hurdles that stop entrepreneurs from achieving their full potential.